Registration from 11 a.m. to 5 p.m., Checkout at 11 a.m.
Carriage Way Bed & Breakfast is nestled in the downtown historic district of St. Augustine, Florida. This historic inn offers both modern vintage, luxurious guests rooms and a private cottage in beautifully restored Victorian homes. The original house was built in 1883 by Edmond Masters for his wife, Rosalie Masters. Mr. Masters was a lead carpenter for Henry Flagler's first Florida resort hotel, the Hotel Ponce de Leon. The Carriage Way has been lovingly restored as a bed and breakfast, and is now owned and operated by long-time B&B enthusiasts, Michaele and Julio. This adults-only bed and breakfast retains its old-world charm while offering all the modern conveniences to make guests feel right at home. 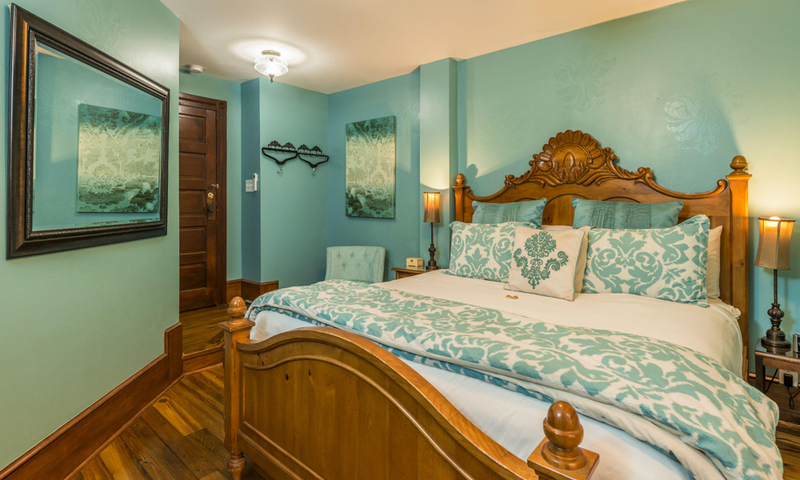 Carriage Way is a 14-room bed and breakfast, offering queen and king-size beds. The newly renovated "Industrial Chic" Cottage is available to host small business meetings or retreats. The inn's newest room, the Premium Diamond Suite, was added in September 2017. 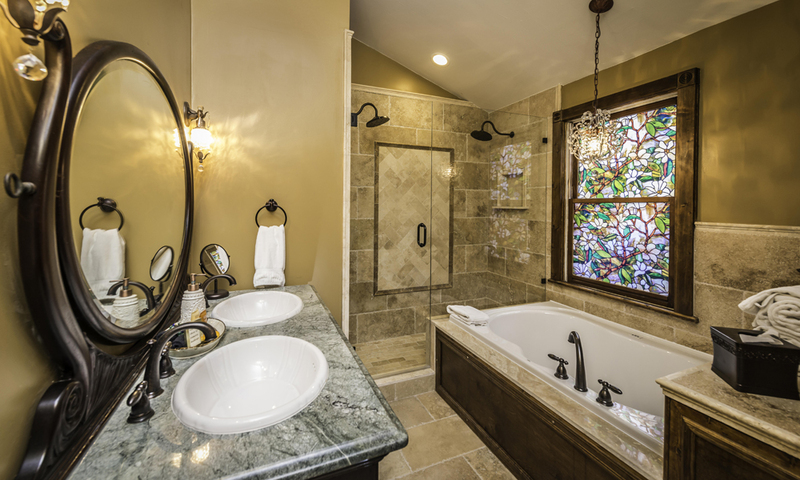 The Guest Cottage offers two rooms, available individually or together, both with private baths. 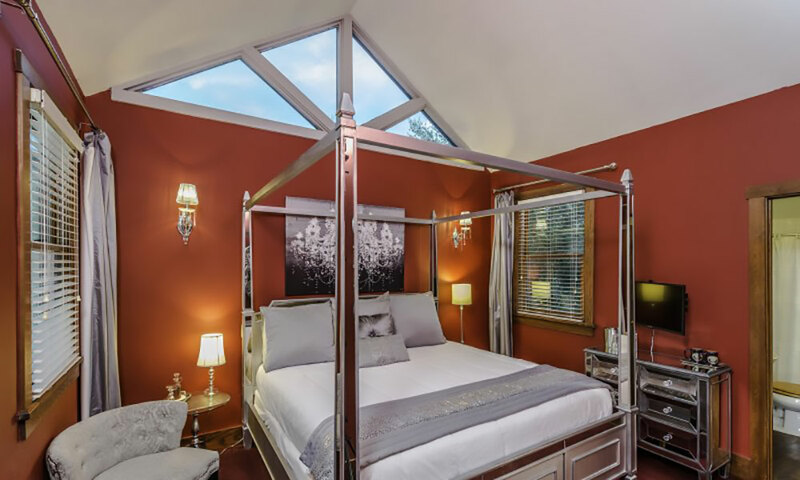 The Silver Room has a queen-sized bed and a step-in shower, while the Gold Room has a king-sized bed and Jacuzzi tub/shower combination. With true Southern hospitality, Carriage Way offers guests an ideal atmosphere for relaxing and a convenient location for exploring the nation's oldest city. Complimentary beverages, newspapers, and delicious cookies are available every day, in addition to Chef’s Choice Hot Breakfast served table-side in the morning. Carriage Way strives to make every stay as memorable as possible. Special arrangements can be made to have roses, chocolates, or a cheese and fruit tray awaiting guests. On-site parking (one vehicle per guest room). Guests will find all they need within walking distance of this bed and breakfast. Chef's Choice Hot Breakfast is served tableside every morning from 8:30 to 10 a.m.
Complimentary beverages including wine, coffee, tea, sodas, and bottled water. Upstairs and downstairs shared verandas, open to all guests. Wireless Internet access throughout the inn. Concierge services including assistance with visitor information, transportation, and restaurant recommendations and reservations. Staff can also help with planning special surprises for guests, including roses, champagne, birthday cakes, chocolate covered strawberries, fruit and cheese platters, and even romantic horse-drawn carriage rides. 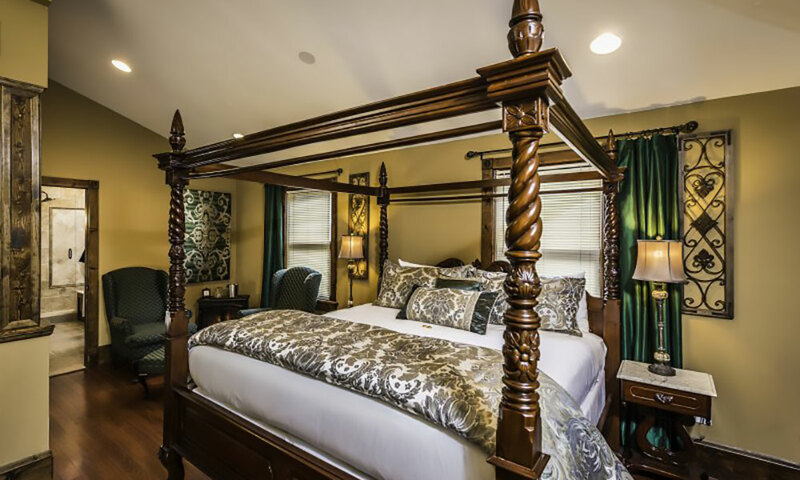 Be the first to Review Carriage Way Bed & Breakfast!